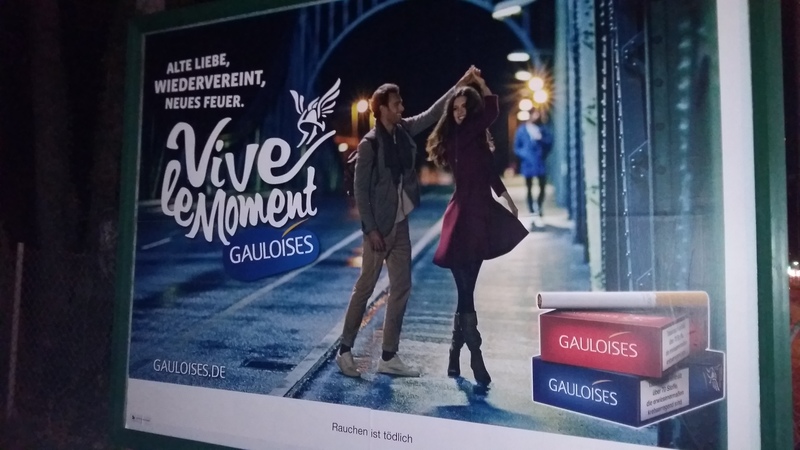 So, Gauloises is rehashing some of the imagery of its Vive le Moment advertising campaign. New taglines. I have seen a newer version of the women with moustaches on railway stations without having the option of taking a photo. But the young couple dancing in the street is completely new to me. What is going on here? Tagline is “Old Love, rejoined, new fire”. Erm….ok. So, young couple break up and get back together again with new energy, hence the dancing in the street. Enjoy the moment, for sure. 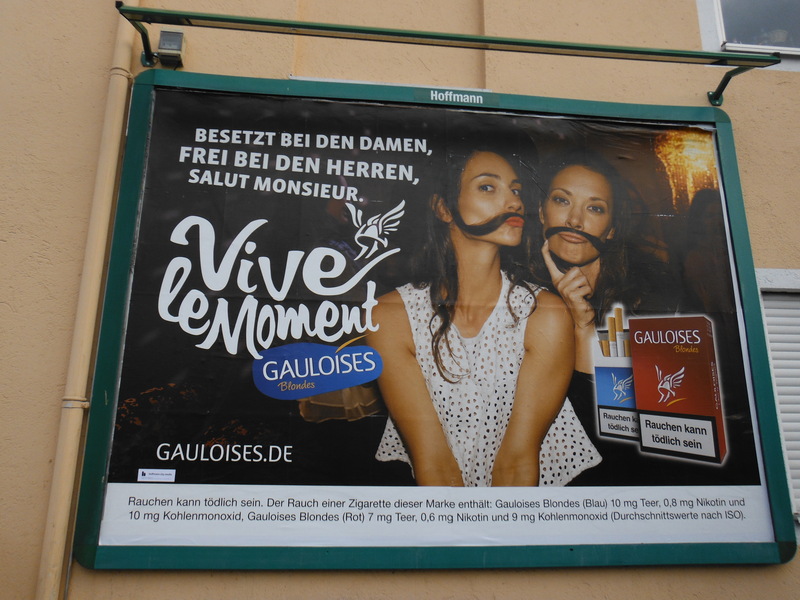 What I am confused about here is the law on advertising in Germany. In my previous post on the subject, it was clear that negative images of the effects of smoking were explicit with the foetus in the ashtray. But here, with the exception of the small black writing at the bottom “smoking is deadly” (upgraded from “smoking can be deadly”), all is idyllic.